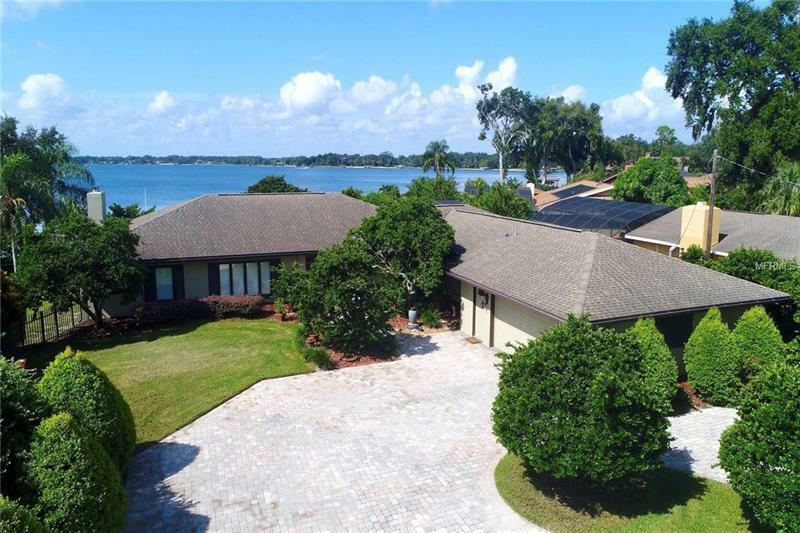 *New roof January 2019* Fall in love with this spectacular Lake Conway waterfront property privately hidden in the heart of Belle Isle and located minutes from Downtown Orlando and Orlando International Airport. This 4 bedroom 3 bathroom house sits high and dry at 102 ft above mean sea level (14 ft above the historic high for Lake Conway) providing breathtaking views of Lake Conway and all its beautiful wildlife. There is more than enough space both inside and out to get the most out of your new private oasis. On the inside this house enjoys premium features such as a wood flooring throughout 12' x 39' sunroom fireplace and a completely new (September 2018) kitchen with solid wood cabinets stone countertops and matching stainless steel appliances. A secondary master suite boasts a large bedroom bathroom media room library and office. On the outside this house is equipped with hurricane resistant shutters and double pane windows heated salt water pool and jacuzzi covered dock with 4000 lb. strap lift generator-ready home wiring and electronic privacy gate to name a few. Owners have lived in this house for over four decades and have kept it in great condition and have extensive records to prove it. A-rated Cornerstone Charter School (K-12) is only five minutes down the road. This is a unique opportunity to own a truly special property. Don't miss your opportunity to begin living the lake-lifestyle on one of central florida's cleanest and most-sought after lakes and communities.